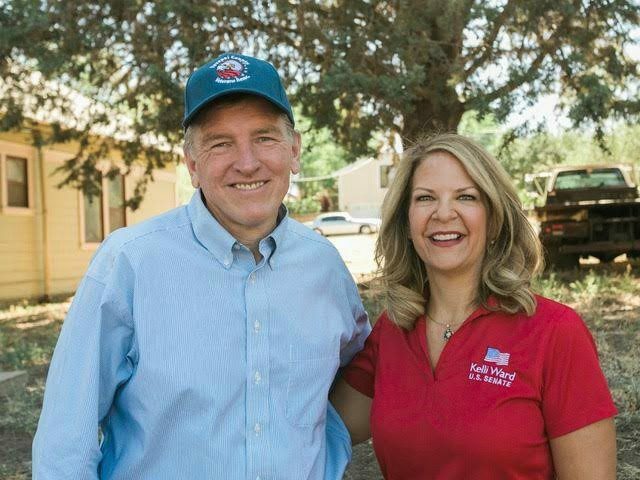 Rep. Paul Gosar resolutely endorsed former Arizona State Senator Kelli Ward for the U.S. Senate over fellow Rep. Martha McSally on Tuesday, citing his firsthand experience working with each of McSally and Ward, their positions on border security, and amnesty. Freedom Caucus member Gosar’s statement of endorsement for Ward goes on to brand McSally a “Never Trumper,” contrasting that with Ward’s support for President Donald Trump. “I have known Dr. Kelli Ward, and worked with her in public service, for years. We both know how critical this election is, and the role Arizona will play in supporting the agenda to make America great again,” said Gosar. During the 2016 election, @realDonaldTrump promised the American people he would mend Washington’s icy relationship with Moscow & keep the U.S. out of foreign wars. Ignore the #TrumpDerangementSyndrome crowd – he’s keeping his promise & more importantly he’s keeping us safe. Trump declared last August that it was “Great to see that Dr. Kelli Ward is running against Flake Jeff Flake, who is WEAK on borders, crime and a non-factor in Senate. 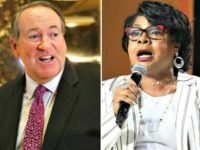 He’s toxic!” Ward responded with gratitude and looking forward to seeing Trump again in Arizona. Gosar has worked with McSally in Congress and while he says he does not hold animus toward her personally, professionally he says he has seen firsthand that she has done what the “D.C. elite” has commanded. The most important issue facing our country is our unsecured and open borders. Kelli knows how critical this is and she will not cave to the leftists in their demands for amnesty, open borders, and endless welfare entitlements. Her opponent, unfortunately, has failed to grasp how critical this is to Arizona and the country, and has many times supported blanket amnesty to criminals. This disqualifies her as a credible candidate in this race. Kelli has proven she votes the way she talks – like a true American who loves her country and supports her President. This election will determine if Arizona has a senator who supports the American people and President Trump or a ‘Never Trumper.’ This election is between someone committed in their heart to real American values and securing our border or someone who supports amnesty, criminals and border jumpers. If you believe we can make America great again, and believe in our nation, then Dr. Kelli Ward is the only option. She deserves our support and our vote. I would be proud to serve in Congress with her as our Senator. Dr. Kelli Ward is running to replace retiring Sen. Jeff Flake in the U.S. Senate. She previously served as an Arizona State Senator.